This really is about making your outdoors glamorous, plus making the most of those long summer nights when no one wants to go inside. GlammFire can warm the spirit of your outdoor living space with their ‘authentic illuminated art works’. Founded in Portugal by French designer Marcelo Alves Inacio in 2008, GlammFire products make excellent statement pieces that are designed to pair beautifully with various different outdoor furniture styles. GlammFire specialises in creating inspirational and unique products that are beautifully made and of the highest quality. The Houseology GlammFire collection aims to express the captivating essence of fire, bringing highly sculptural forms into the heart of outdoor spaces. Extend your discerning interior style outdoors with the Glammfire La Boheme 1 BBQ Stainless Steel. Rectangular in shape, this contemporary outdoor barbecue is a fine addition for your outdoor living space. A charcoal burning barbecue, La Boheme features a striking clean line design with a slatted and smooth steel appearance. Suspended between two slatted steel pillars, this commanding luxury outdoor barbecue features an outdoor tap and sink area, dual splash back board and protection cover and an integrated cooking grill. Fuel or charcoal powered, the fuel compartment is also constructed from hard-wearing stainless steel and is guaranteed to last generations. 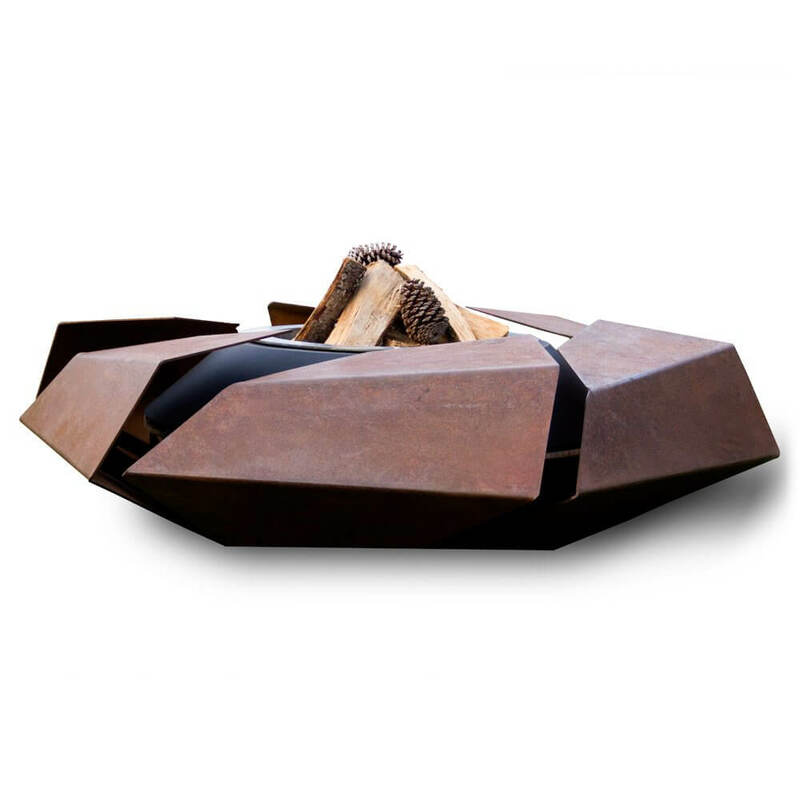 Steel and cement luxury Glammfire outdoor fire pit with modular bench seating. Entertain into the early hours in style with the captivating Zarzuela Fire Pit by Glammfire. A convivial focal point with three industrial steel benches, this designer fire pit is the perfect accent for your outdoor living space. Made to endure, it is circular in shape with a charcoal/firewood burning fuel compartment and central pit surrounded by robust cement. Metallic handles on the fuel compartment make emptying and cleaning easy as a protection cover completes the look in style.Each bench tucks nicely away to create a sleek aesthetic when the fire pit is not in use. Create a fantastic convivial focal point outdoors with the Glammfire Mime Fire Pit Black Lacquered Carbon Steel. Designed in Italy by designer outdoor fire pit experts, Mime is grounded in the design philosophy that "being great is alive, but living is infinitely better." Offering a contemporary design for more precious moments outdoors, Mime makes it easy to create an outdoor living space which can endure every season. UV, frost and weather-resistant, Mime features a lacquered black carbon steel exterior with integrated louvre steel slats which allow stylish wood storage around the burning chamber.Use yours to entertain long after the sun goes down and be the envy of your discerning neighbours all year round. 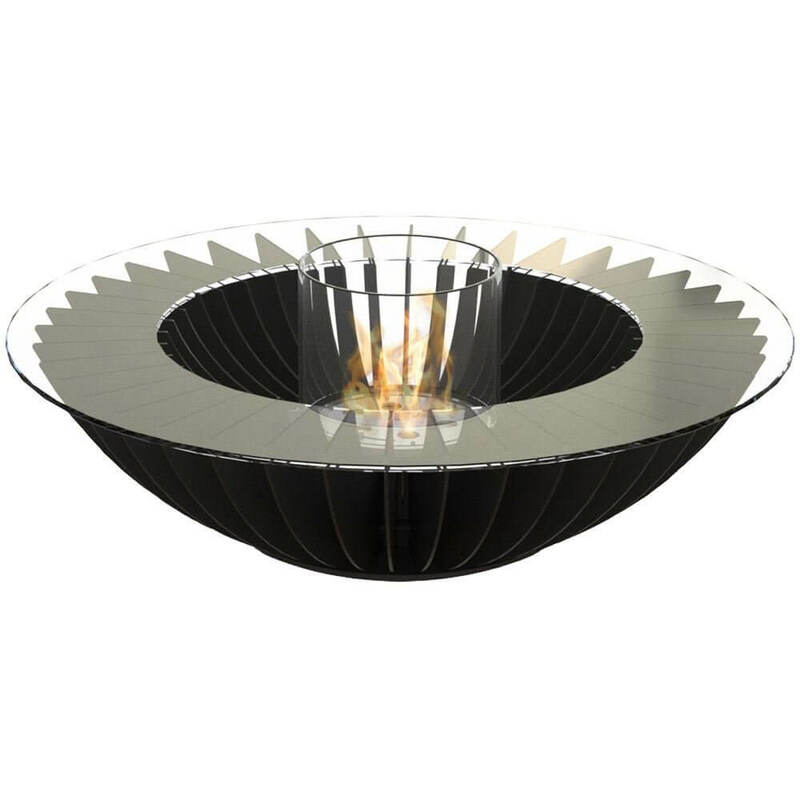 Gather your friends outdoors into the early hours with the Glammfire Stravaganza Fire Pit. A captivating style statement for your outdoor living space, Stravaganza features an angular geometric exterior sculpted from industrial carbon steel. 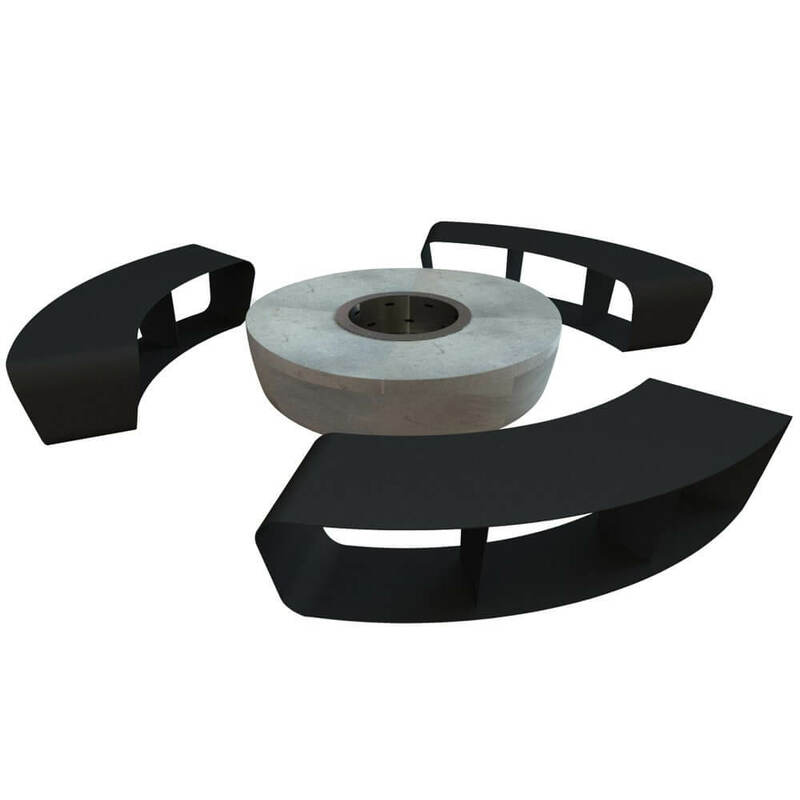 Internally, a black lacquered carbon steel fuel compartment creates a combustion chamber for fuel, firewood or charcoal. Combine with Glammfire accessories and transform your outdoor fire pit into convivial barbecue, sure to impress your guests in style. Create a showstopping convivial focal point outdoors with the Glammfire Vaudeville Fire Pit Black Lacquered Carbon Steel. 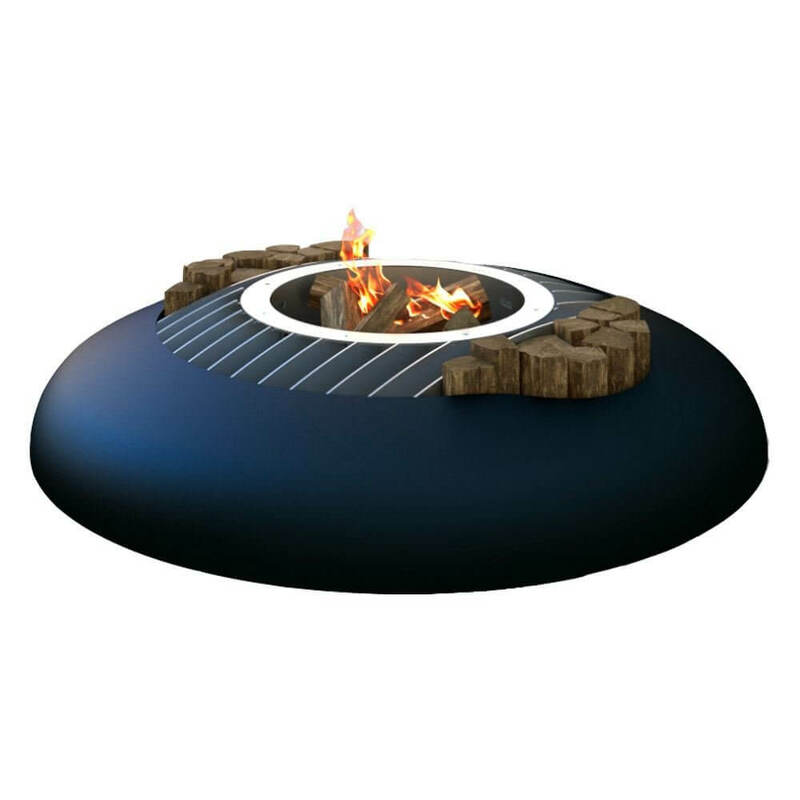 A minimalist designer fire pit, this freestanding Glammfire fire pit features a robust lacquered carbon steel construction which is UV and weather resistant. Sculpted by skilled artisans, it features a geometric design with immediately identifiable personality and hollow contours for stylish wood storage. Use yours to entertain guests outdoors long after the sun goes down and be the envy of your guests this season. Transform your outdoor living space with the Glammfire Cosmo 13 Fire Pit Lacquered Carbon Steel. This wood/charcoal burning outdoor fire pit features a solar-inspired design of concentric lacquered carbon steel rays. 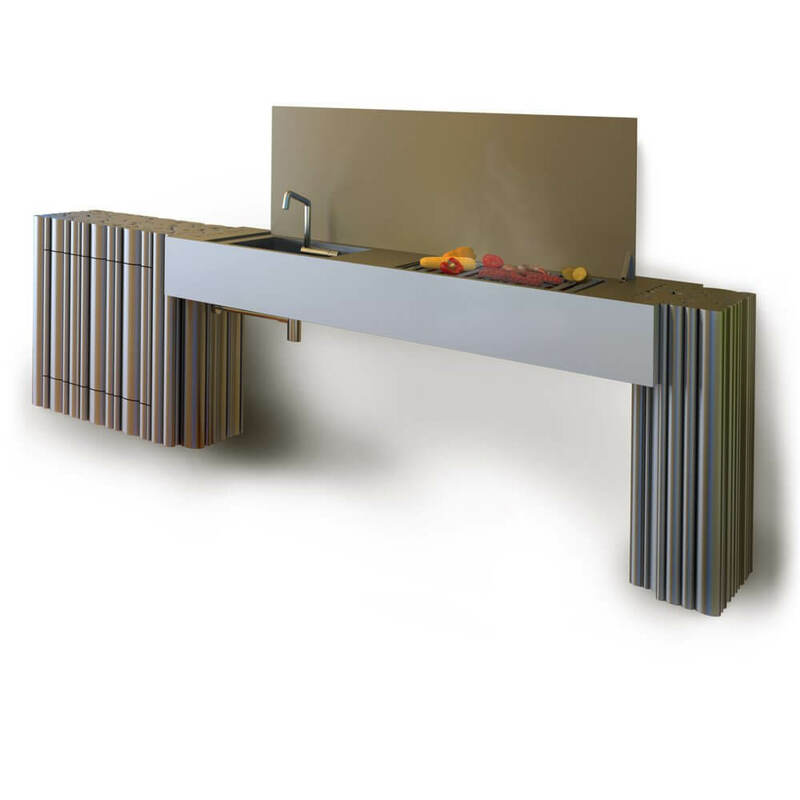 Refined and detailed, the design then supports a stainless steel firebowl chamber for functional versatility. 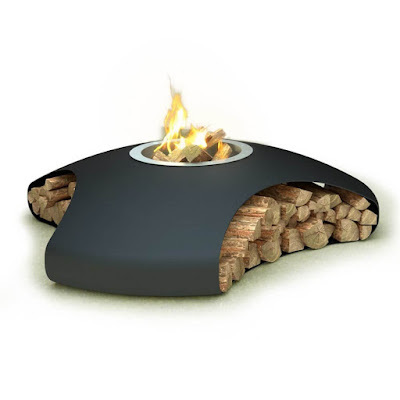 Designed for outdoor use, the fire pit is UV, frost and weather-resistant, designed to endure all year round.